Posted on July 20, 2013 by Warin	in Florida, George Zimmerman, media, President, Race, Trayvon Martin. Last Saturday a Florida jury determined that George Zimmerman was not guilty in the death of Trayvon Martin. For those of you reading this who may not be aware, in February of 2012, Trayvon Martin was walking home from the store when he was approached by Mr. Zimmerman. A fight ensues and Trayvon is left dead. It turns out George Zimmerman had been following Trayvon in his vehicle, and when he asked a 911 operator whether or not he should go after Trayvon, he was told, “we don’t need you to do that.” Despite this, he ignored the operator and pursued him anyway. So what exactly was that suspicious looking man in the neighborhood armed with that Zimmerman decided to pursue? A pack of Skittles and an Arizona Ice Tea. I gave my thoughts about this case last year. In the following days across the United States there were protests in cities from New York to L.A. In New York’s Time Square, protesters halted traffic dead in its tracks with the streets swelling with thousands of hurt, angry and disappointed people. It wasn’t just the fact that George Zimmerman was found not guilty, but that he wasn’t even initially arrested until people started protesting. Many talking heads on the news networks stated their opinions on the verdict, but it seemed everyone (well, many black folks at least) was waiting on the thoughts of one man in particular. On Friday President Obama gave his thoughts and the nation listened. Speaking from the deeply personal perspective as a black man in America, Obama spoke of black men being followed in stores, women clutching their purses while in the presence of black men and car doors locking as black men walked by. How does he know these things? Because they’ve all happened to him. 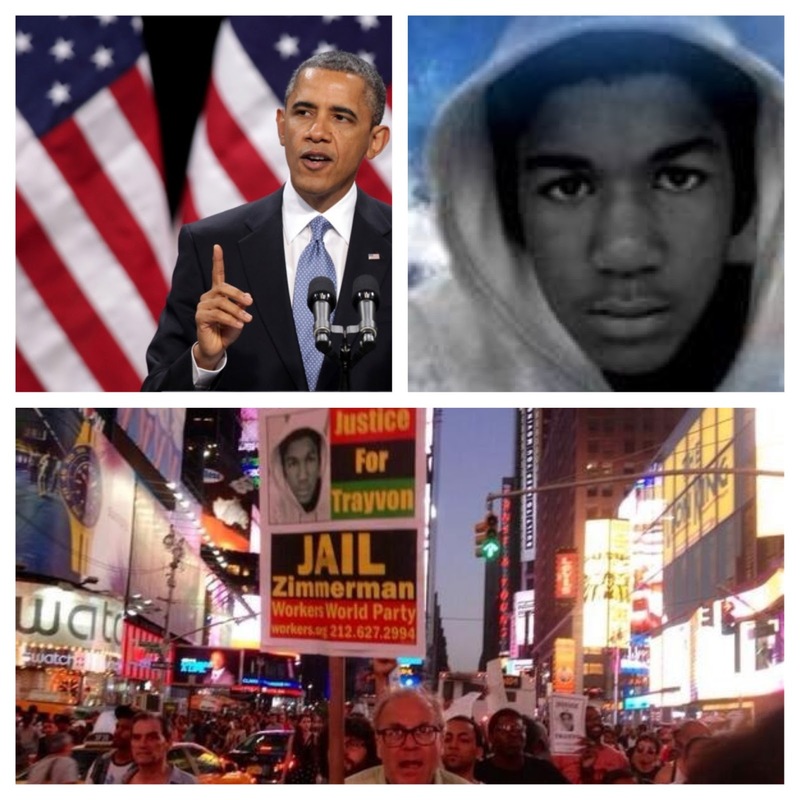 Perhaps his most powerful statement was identifying that Trayvon Martin could have been him 35 years ago. To hear a sitting American President speak to the nation in those terms is unlike anything we’ve see before in our nation’s history. I encourage everyone to watch the speech at least once, but more importantly, listen. Did On Screen Black Presidents Pave Way for Obama? Posted on January 9, 2012 by Warin	in Chris Rock, Dennis Haysbert, election, President, Sammy Davis Jr..
Well ladies and gentlemen, it’s that time of year again. The news cycles are once again roaring up for another presidential election. I must be honest, nearly three years since Barack Obama’s inauguration, I’m still stunned that a black man is president of these here United States. Now in the years since Obama’s election, many things have been attributed to his achievement of becoming the first black president. People say he ran a solid campaign. Others say he engaged the youth like few politicians have. Millions were wowed by his great speeches, and some would even say his early adoption of social media was a deciding factor in his election. Being that this blog focuses on film and television, I can’t help but wonder if previous on screen portrayals of black presidents, assisted in Obama’s rise to the White House. The idea of a black president actually isn’t a new idea at all — at least when it comes to the confines of black actors being portrayed as president. According to Lynn Tolliver’s book, Movie Concepts Sitcom Presentations, the earliest indication of a black man (or in this case, young boy) being portrayed as president, was in the 1933 movie “Rufus Jones for President,” starring a then 7-year-old Sammy Davis Jr. There have been quite a few movies and television series that have had black men leading the nation from such disasters as: death, destruction, terrorism, and even a wayward asteroid. 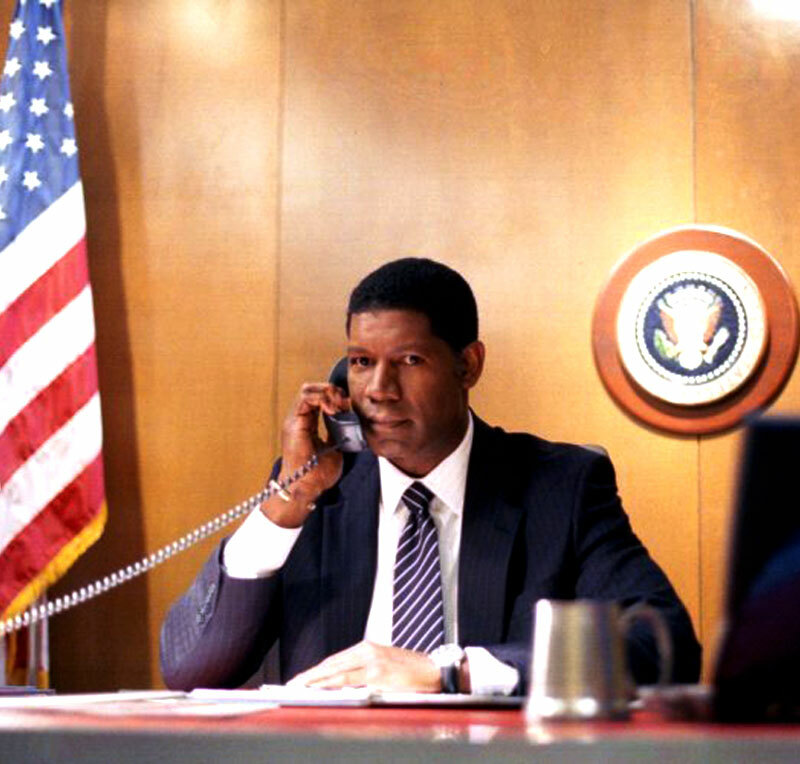 2003 would bring Chris Rock’s turn at president in his film, “Head of State.” The movie took a humorous look as Mays Gilliam (portrayed by Rock) went from unknown D.C. alderman, to getting his party’s nomination, and running for president. I remember seeing this in early 2004 and thinking it would be awhile before we ever saw a black president, but sure enough, it would only take four more years. “As far as the public is concerned, it did open up their minds and their hearts a little bit to the notion that if the right man came along… that a black man could be president of the United States,” says Haysbert.